Clean and nondescript, The Poster Chronicles is the side project of local graphic designer Andrew Tesdorpf, who works with both digital and print and established his own studio, Studio Hovercraft in 2011. It's official, guys. I live in the world's most liveable city, with Melbourne maintaining an incredible cultural vibrancy with its world-renowned bars, restaurants, nightlife, arts, fashion, and especially its music scene (#humblebrag). Despite the uncertain future of some performance spaces and the threat of noise complaints, Melbourne still has the most successful venues in the country, with countless live shows and events happening each week. 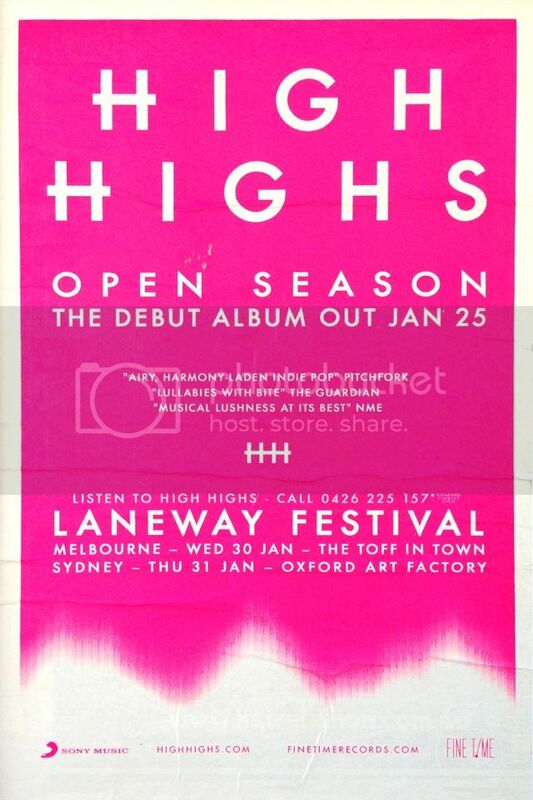 It's the music capital of Australia. Posters promoting these events line many of Melbourne's most well-known, artistically-thriving suburbs such as Fitzroy, Carlton, Northcote, Collingwood and Brunswick and are very much part of the landscape, adding to their eclectic and rugged charms. Now, one blog has curated all these posters to highlight the visually beautiful and unique heartbeat of my city. Clean and nondescript, The Poster Chronicles is the side project of local graphic designer Andrew Tesdorpf, who works with both digital and print and established his own studio, Studio Hovercraft in 2011. Tesdorpf has worked with all kinds of businesses big and small in Australia, including Mirvac, G-Star, World Vision, Myer, Origin Energy and SEEK, as well as sporting giants Cricket Australia and the Australian Football League's Melbourne Demons. Of course, Studio Hovercraft has also worked with some killer Aussie talent along the way, including Airling, #1 Dads, Jack Donne and Big Scary. Via email, I chatted with Tesdorpf about how The Poster Chronicles came to be, poster hunting and what goes into the art of a poster. What was it that made you want to start The Poster Chronicles? I just wanted to keep track of the great posters that I was seeing in the streets near my office so I started photographing them on my phone. 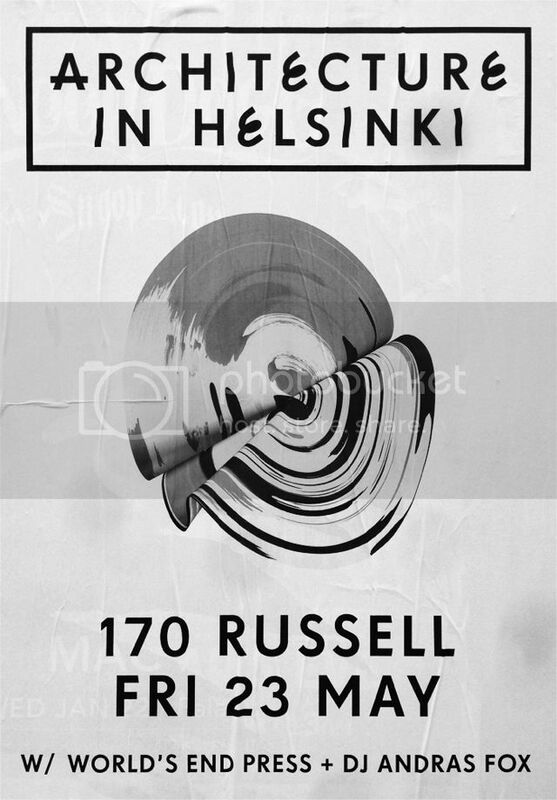 I was doing a bit of work for bands like Big Scary at the time, so I was always looking out for good gig poster inspiration. I started The Poster Chronicles because I ended up with so many poster photos and I needed a way to manage and organise them. Photographing and sharing posters with an online community has since become a hobby although my wife would probably call it an addiction... If I see a cool poster, I have to photograph it. What's the response been like to the blog so far? I don't think any of my friends or family really take much notice of it, but there is definitely a global community who really appreciate the art of poster design. I'd say it's mainly designers, artsy types and music fanatics who frequent the blog. Engagement is varied - most posters get re-blogged and liked between 10-200 times but then there are some that just go nuts like an Arctic Monkeys poster from a few years back which has been re-blogged or liked close to 350,000 times. It's nice to know that there are people who get a kick out of the blog. 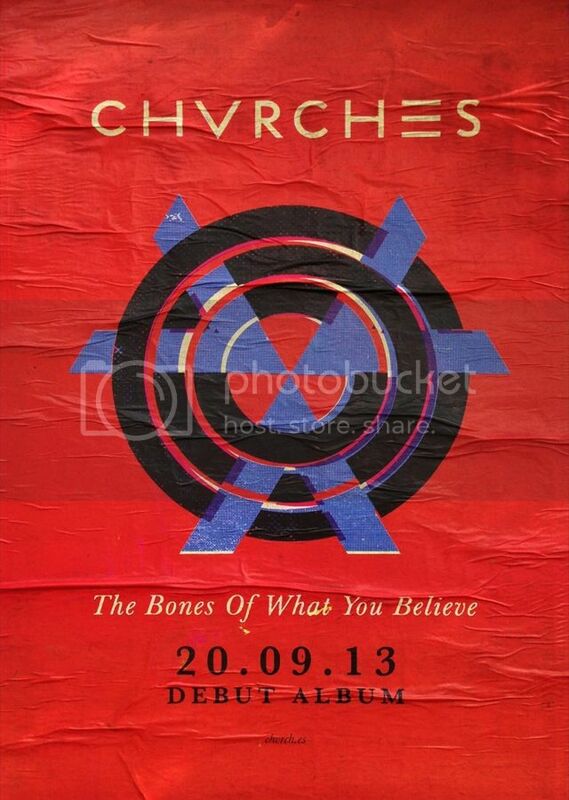 Is there one poster so far that's stood out for you design-wise? Why? That's a really tough question. I've photographed so many great posters over the last 3 years--it's really difficult to pick out a favourite. 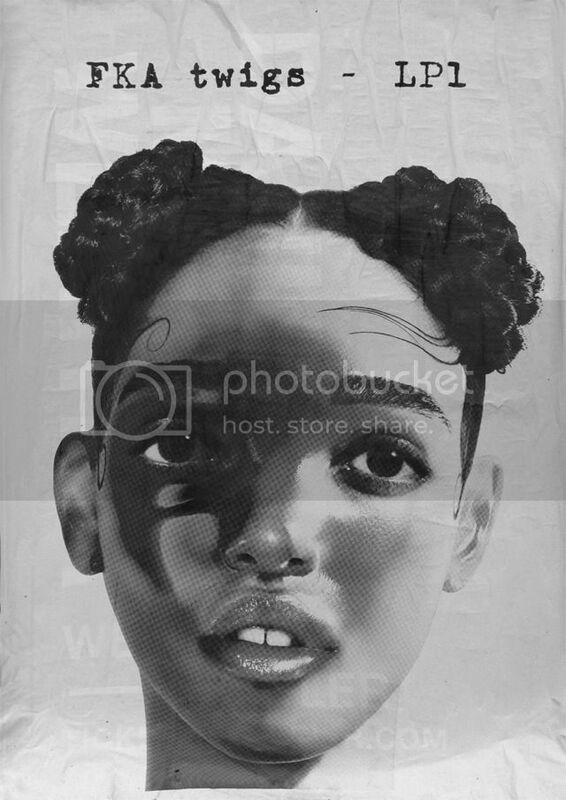 The posters that tend to stick in my mind are the really mysterious ones--ones with hidden meaning--and even ones without any obvious message or purpose. They stay front of mind because they make you think. It's like a puzzle that you really want to figure out. 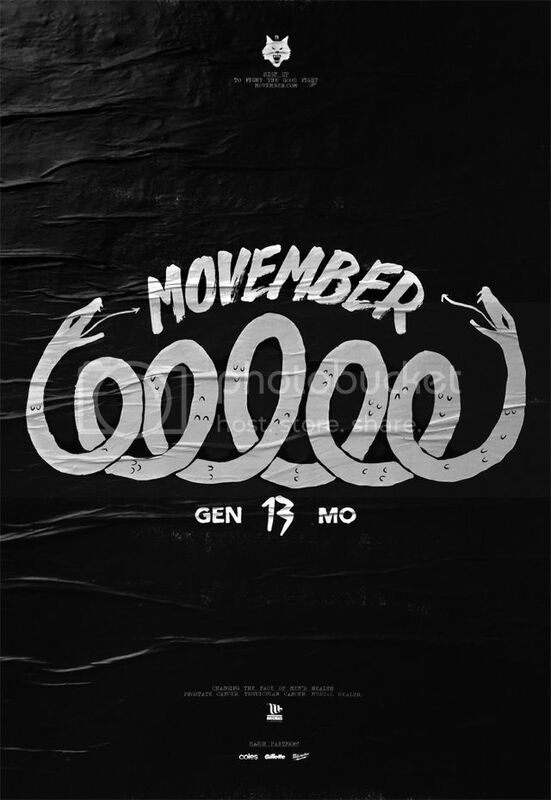 A good example would be The Movember Foundation who ran a series of illustrated black and white posters to promote their 2013 Movember campaign. 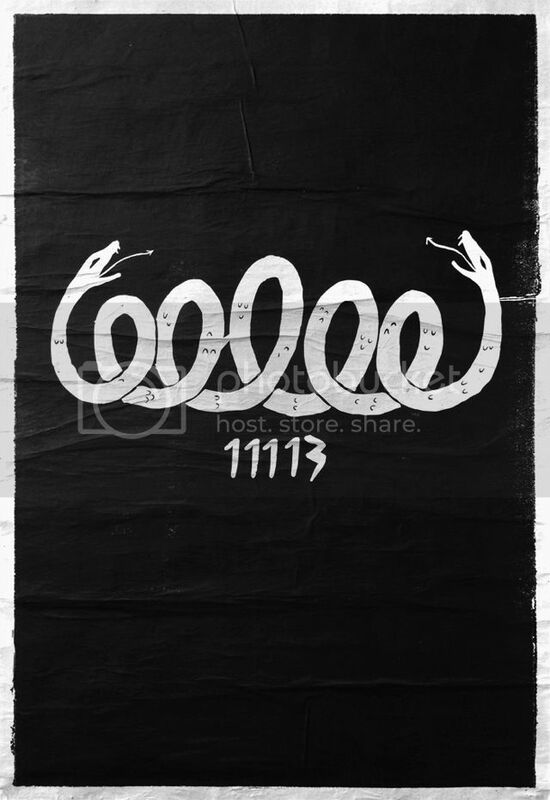 They published a teaser poster portraying nothing more than a two headed snake, vaguely spiralled in the shape of a moustache, followed by the number 11113 to denote the start date of Movember in that year. Besides the date it featured no copy line, branding or URL. It was a cryptic approach that not everyone would have immediately understood, however some would have, and for those that didn't, the seed had been planted. Movember followed this poster up with a more comprehensive version which revealed the full details of the campaign a couple of weeks later. Whilst mystery and intrigue can be a great psychological marketing mechanism, getting the balance right can be tricky and sometimes designers can go too far and err on the side of too cryptic. 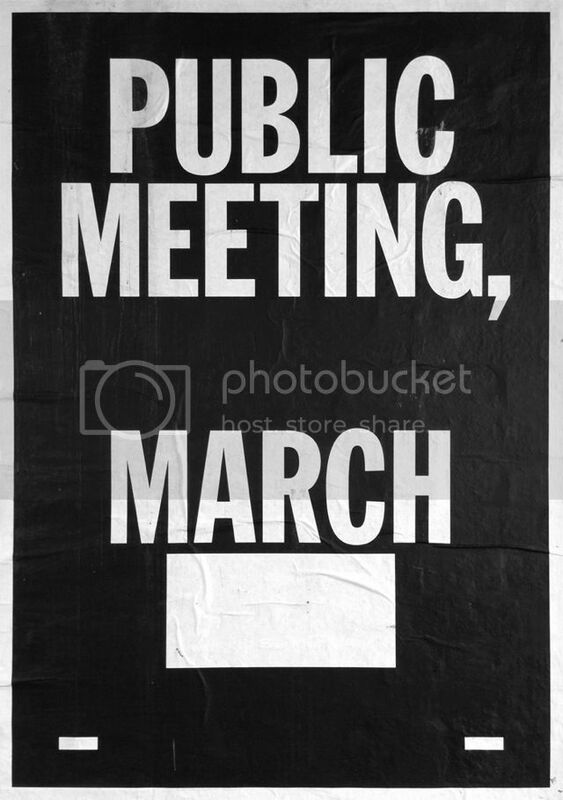 One poster that still has me stumped to this day is a simple black and white typographic poster that just says "PUBLIC MEETING, MARCH " followed by a blank space. 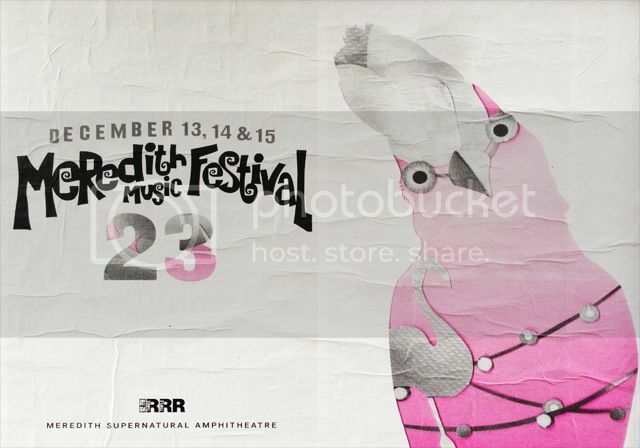 What is it about the posters that add to Melbourne's weird and wonderful cultural energy? Posters are a window into the attitudes, customs, beliefs and interests of a place and it's people. They are cultural artifacts that add colour and life to otherwise grey and drab places such as ally ways, car parks, underpasses and construction sites. 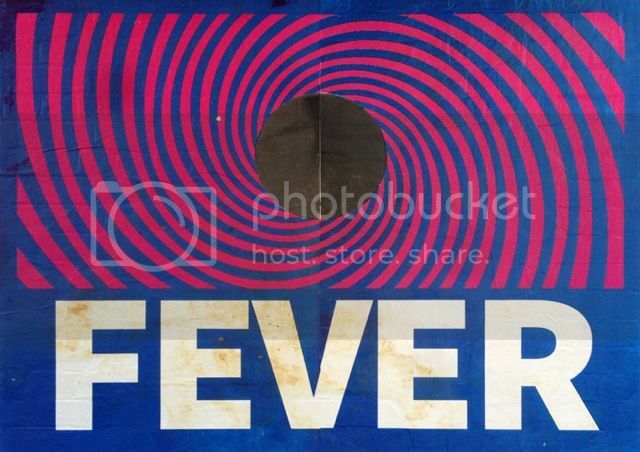 Melbourne's posters in particular, shed light on the arts and musical interests of its people. On any given day, you only have to take a cursory glance at the posters around Richmond station to get an understanding of Melbourne's eclectic taste in art and music. We love everything from local and international comedy acts, to ballet and opera, to pop, indie, hip-hop, dance, metal and jazz. And although they predominantly serve a commercial purpose, posters also underline the great work of many talented designers and illustrators living in this great city. Favourite place to poster-hunt in Melbourne? Inner northern suburbs such as Fitzroy and Collingwood are great. The West is decent too, as are Richmond and Hawthorn. The more music venues in the area, the more posters you'll find. 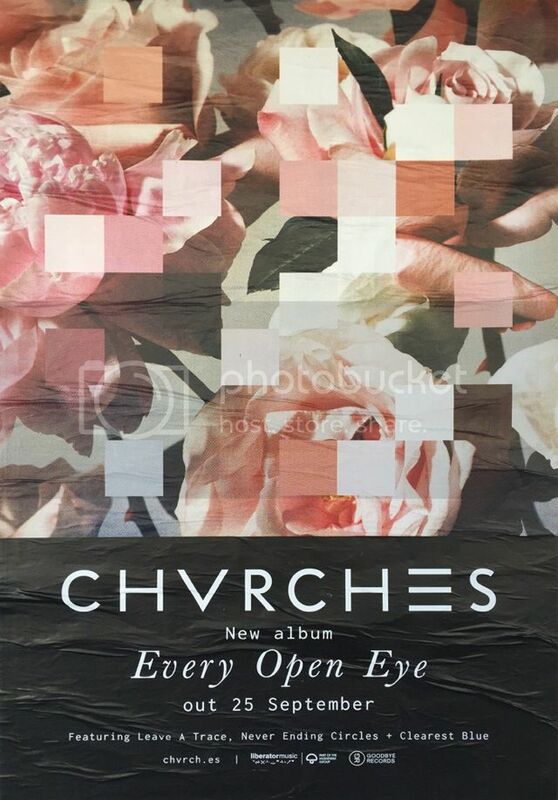 Underpasses and hoarding surrounding building sites are the most common places to find posters. Tips for creating a killer poster design for artists and designers out there? Understand the client objective and design to it. Understand your audience and design for them. Understand where your poster will be seen and design around it. Understand the fundamental design principals and design with them. Capture attention, get your message across, make it memorable and shareable. 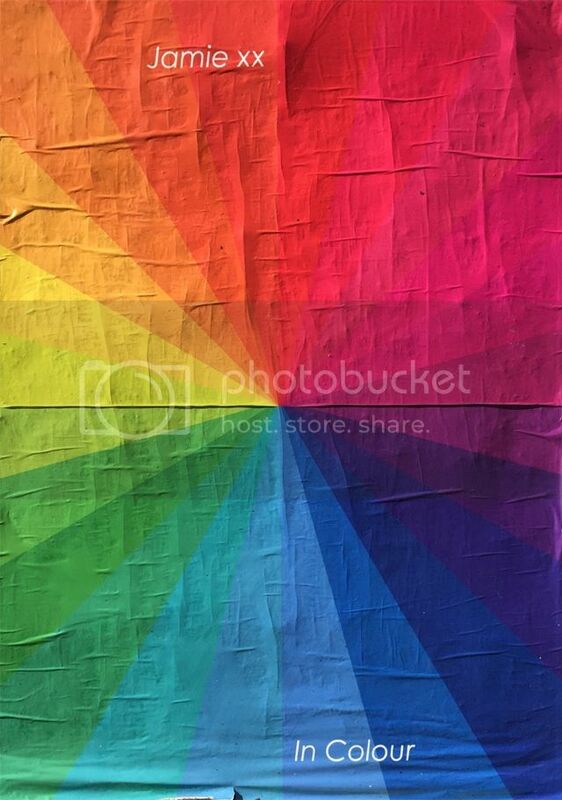 Remember that your poster will line our streets and be seen by thousands. People don't ask to see posters, they don't have a choice. So be respectful, make it interesting and make it beautiful. 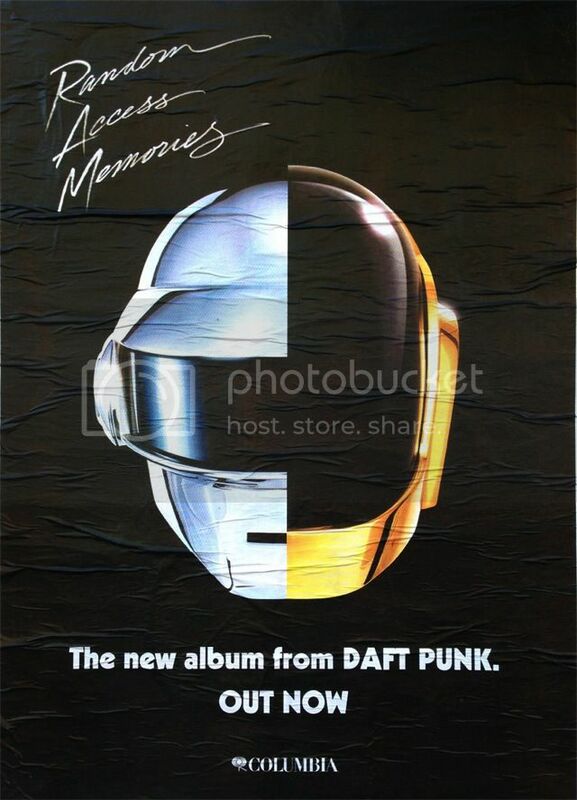 Since we're on the topic, be honest: what posters did you have on your own wall when you were younger? From a very early age, it was football posters. I've been a mad Hawks [AFL] fan most of my life, so plenty of Hawthorn players saw time on my wall during my younger years. In my early teenage days, I subscribed to a nerdy magazine called N64 Gamer. Each issue included a new game related poster, most of which ended up on my wall. As I got older, the gaming posters were replaced by surfers and bikini models. When I started uni, I decided it was time to clear the wall and start fresh. 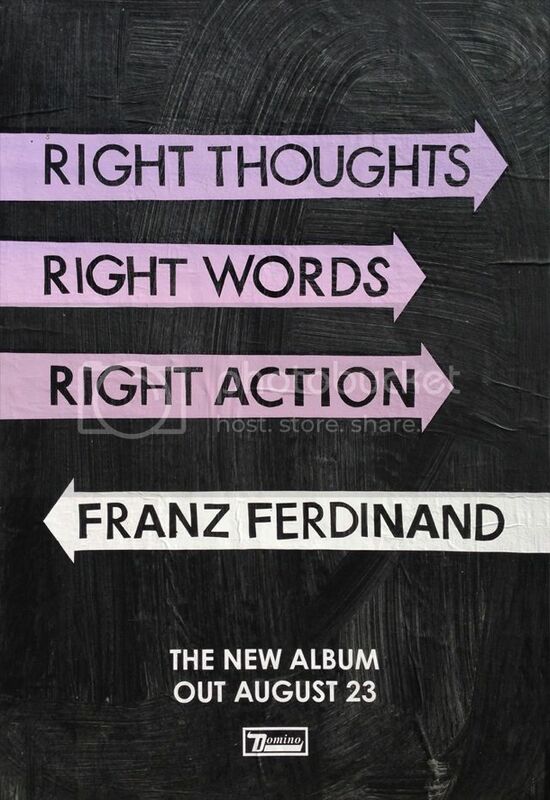 Throughout my uni days, it was posters created by my favourite graphic designers.